Yesterday was our tenth (!) anniversary. 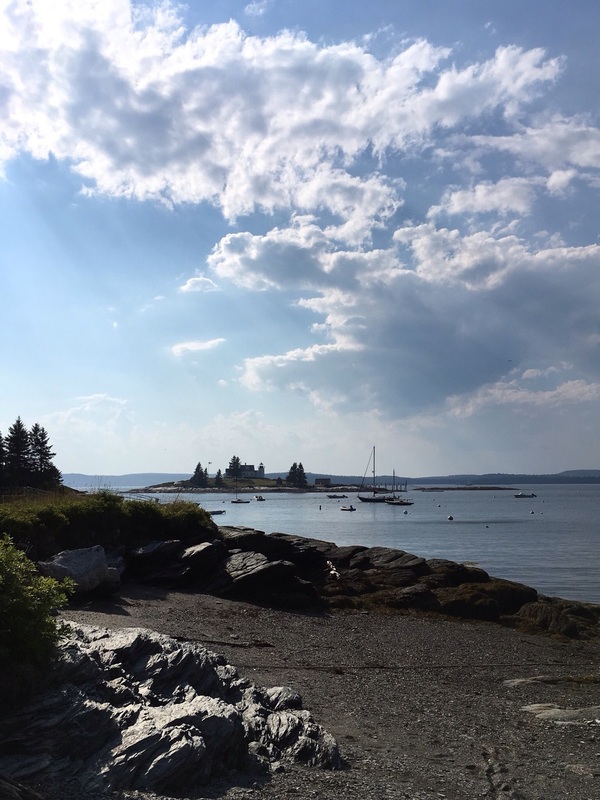 To celebrate we took the day off and headed up the coast to explore an area of Maine we didn't know that well. It was a hot but sunny day, perfect for exploring. 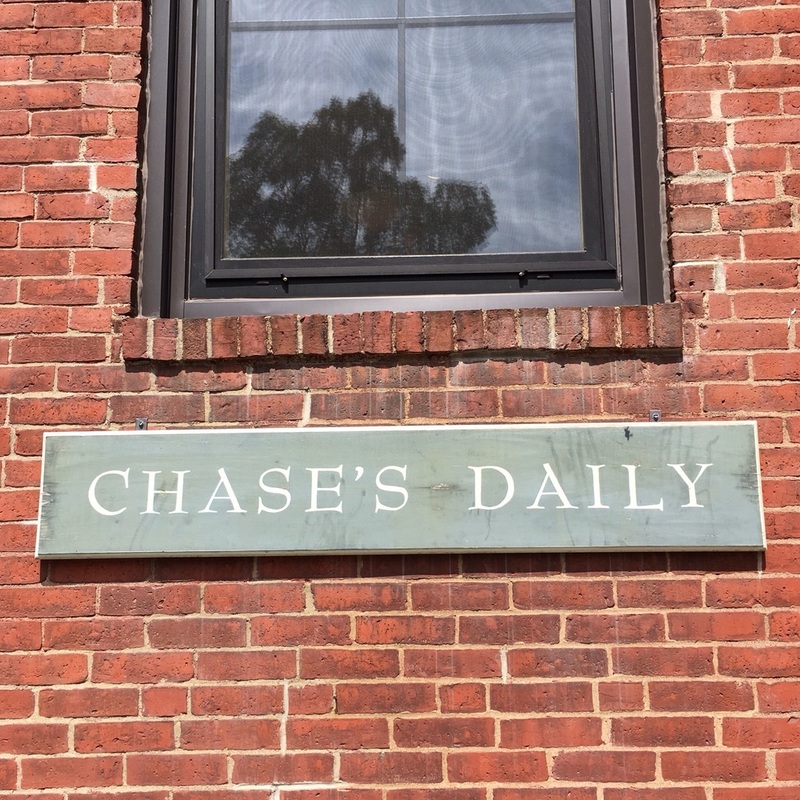 First requisite stop: Chase's Daily in Belfast for some coffee and pastries for the road, and some produce from their beautiful farmstand in the back of their space. 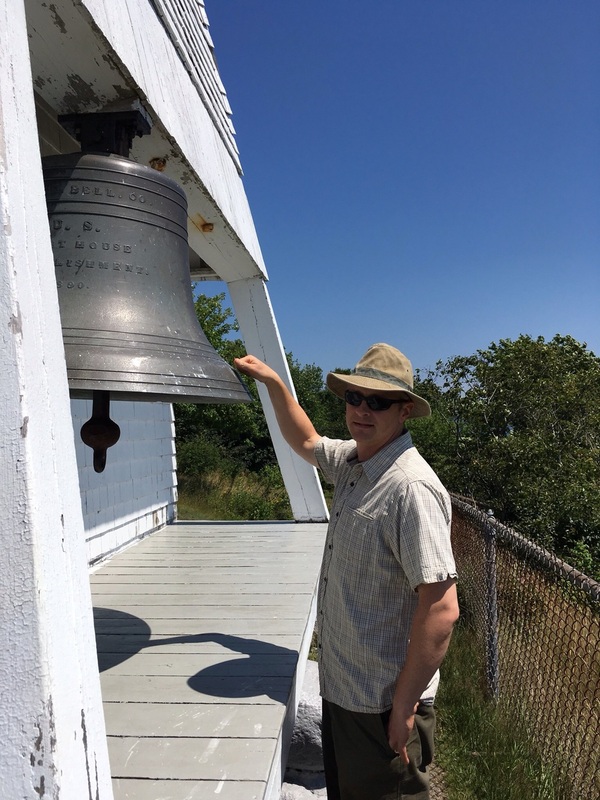 We headed up Route 1 north of Belfast and pulled off to check out Cape Jellison and Fort Point Light in Stockton Springs. 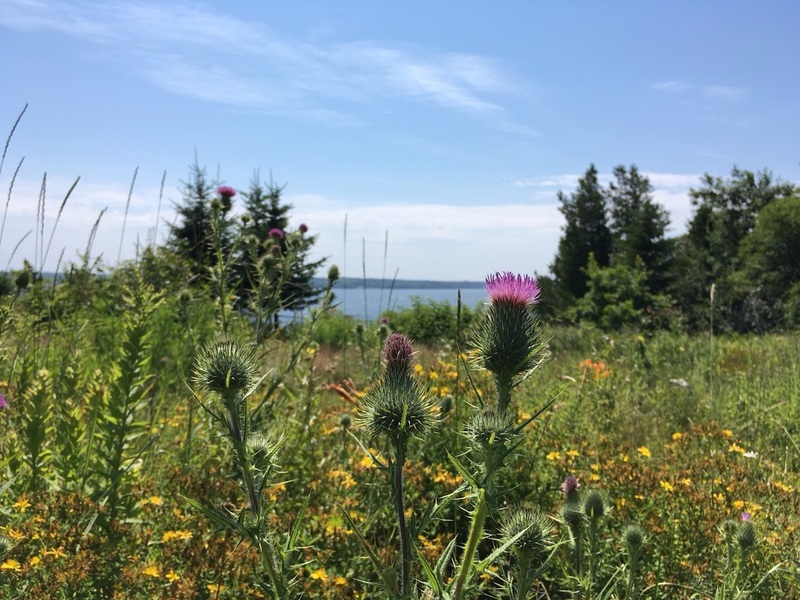 There are some lovely wildflowers outside the lightkeeper's house, including this thistle. I have great appreciation for thistle's beauty when I don't have to deal with it myself! The bell house at Fort Point Light. How does that disco song go again? 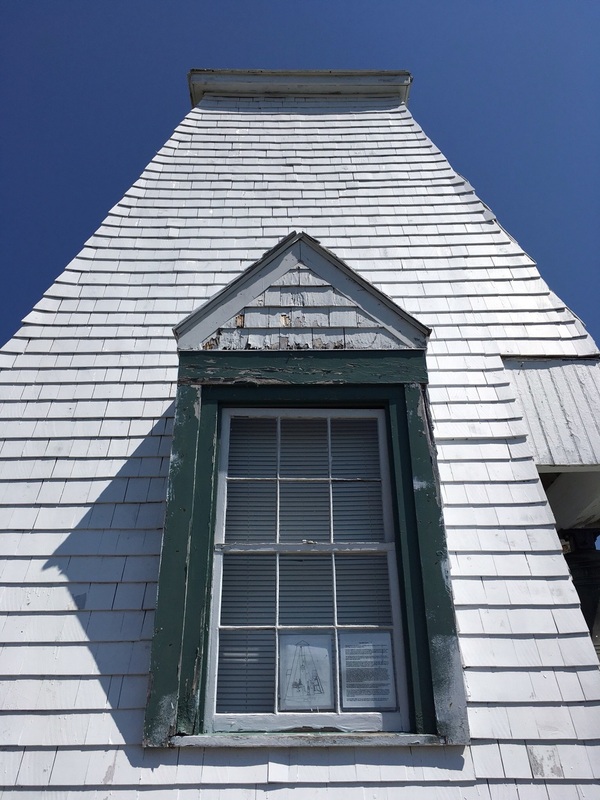 After a quick visit to Fort Point Light, we headed for Route 1 again, stopping to snap a photo of this, one of my favorite houses in Stockton Springs. I don't know if it's abandoned (seems like someone maintains it) but its glory days have clearly passed. Old houses have such stories to tell, I so wish to know some of this home's tales. Our primary destination of the day was Cape Rosier in Brooksville. 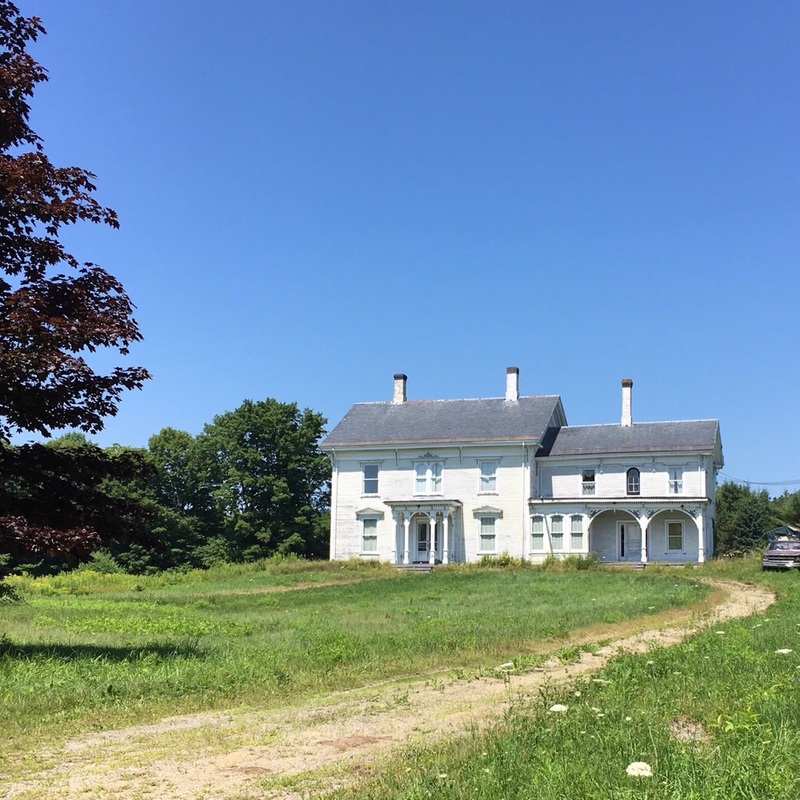 Cape Rosier is home to Helen and Scott Nearing's former homestead, now The Good Life Center, in Harborside. 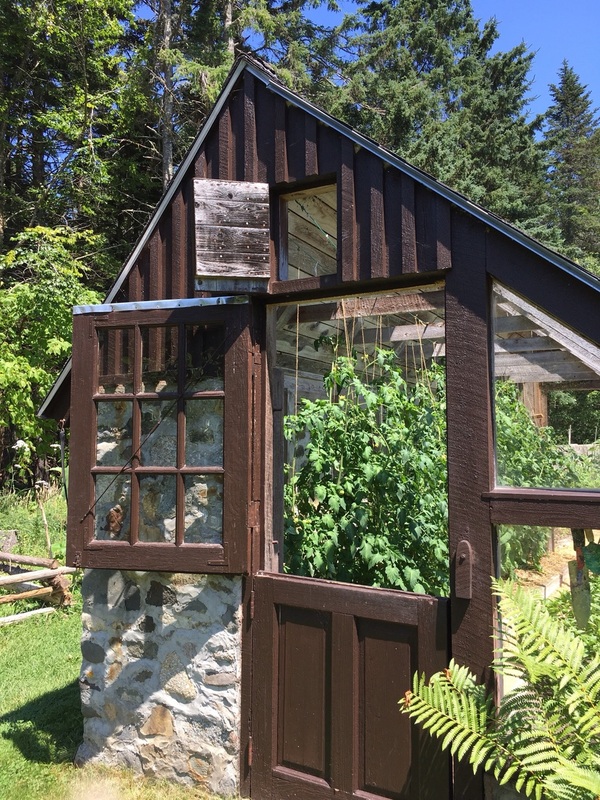 When Mike and I got married ten years ago, we hadn't even been bitten by the gardening bug yet, let alone know that by the end of our first decade of marriage we'd have left Portland and be living in the country, on 30 acres near where we grew up. 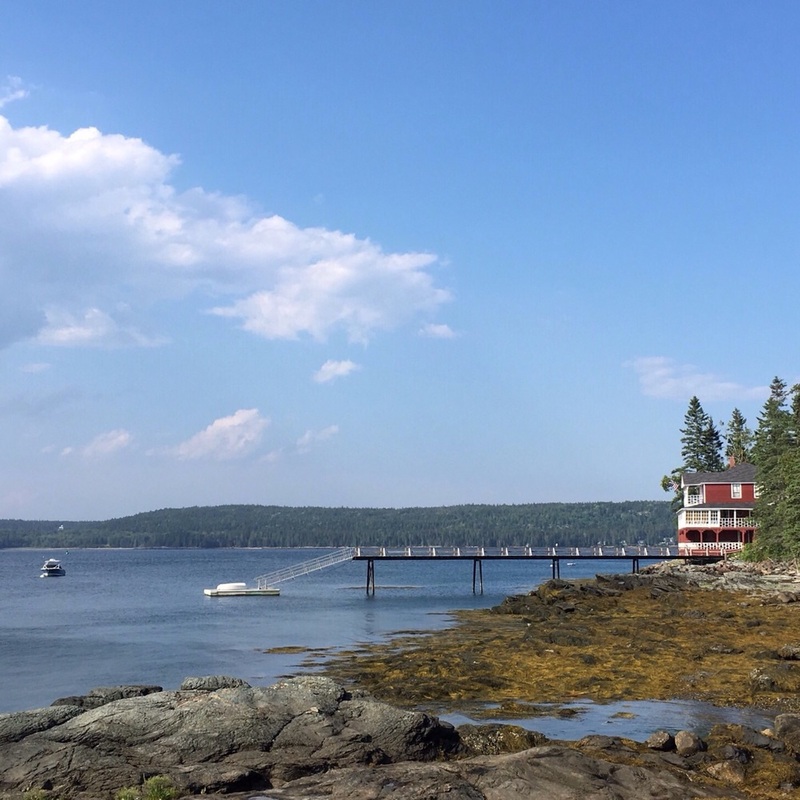 How our goals and plans coalesced over the past ten years was influenced by many writers, including the Nearings and a few others also living in this special spot in Maine. 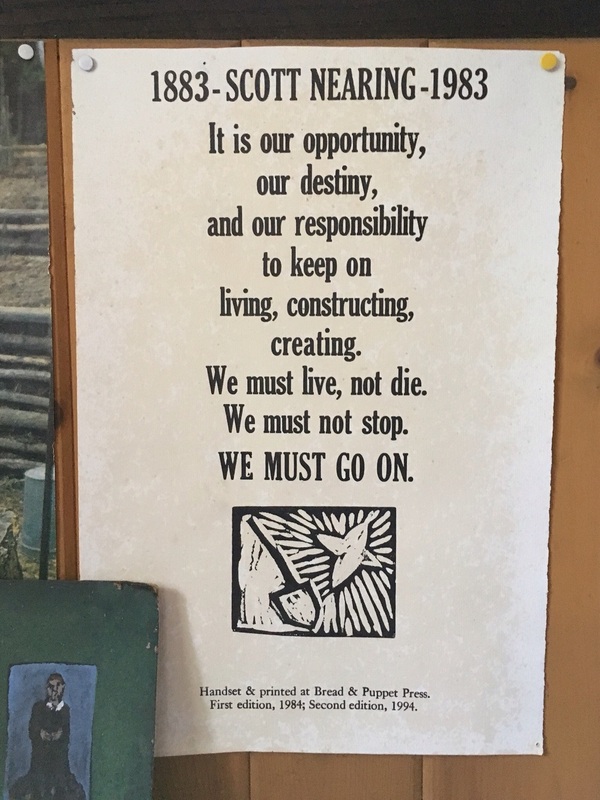 It only seemed right for us to visit on this anniversary to show gratitude to those who unknowingly helped shape our life's path. The Nearings' hand-built home, open for visitors in the afternoons in the summer. The house looks out over Orr Cove. The greenhouse attached to the walled garden. The Nearings sited this outbuilding so that from inside you can look directly through the house and out to Orr's Cove as well. A beautiful design. 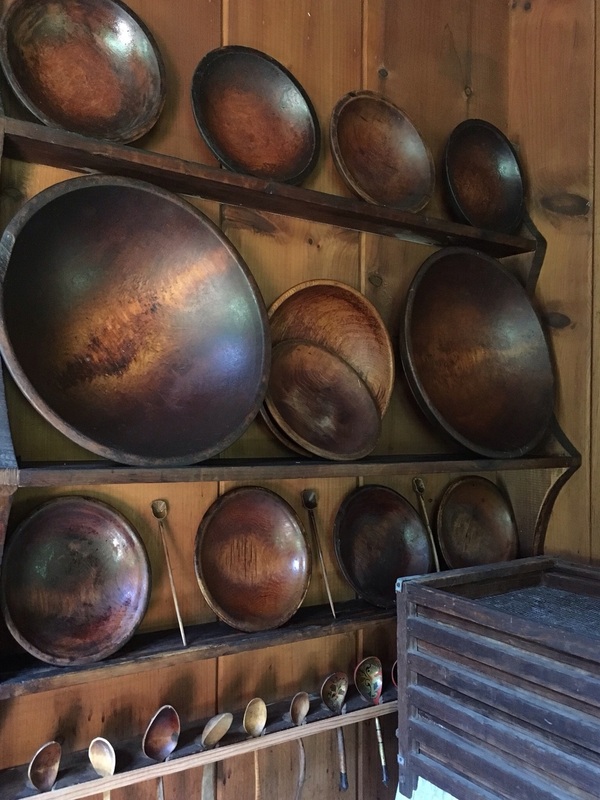 Wooden bowls, spoons, and herb drying rack in one corner of the kitchen. 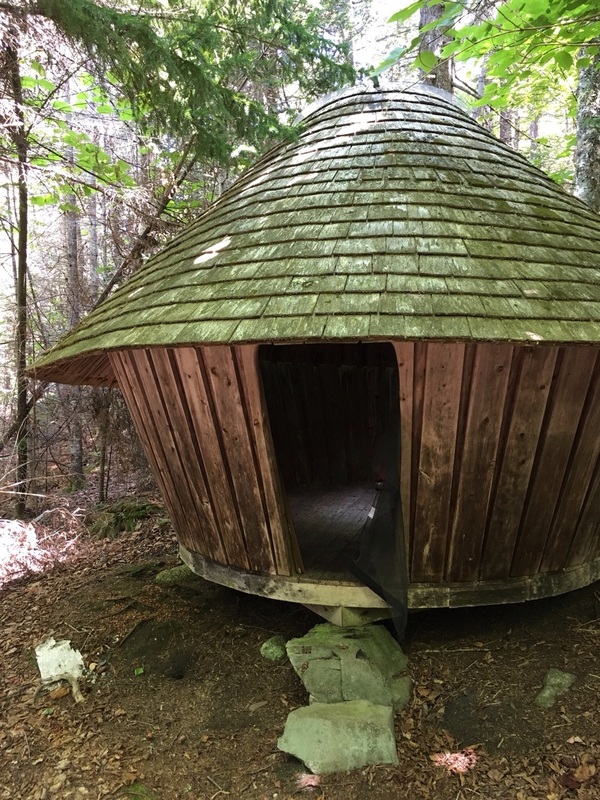 One of the yurts on the grounds of The Good Life Center. 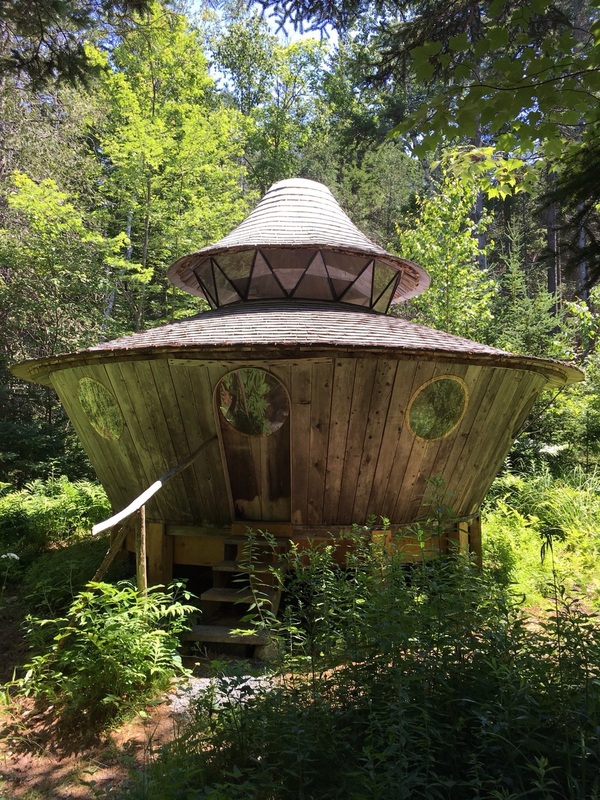 Growing up, a woman lived deep in the woods near my parents in a yurt. Visiting her home always seemed otherworldy to me. I remembered that feeling yesterday while looking at the yurts at the Nearings'. 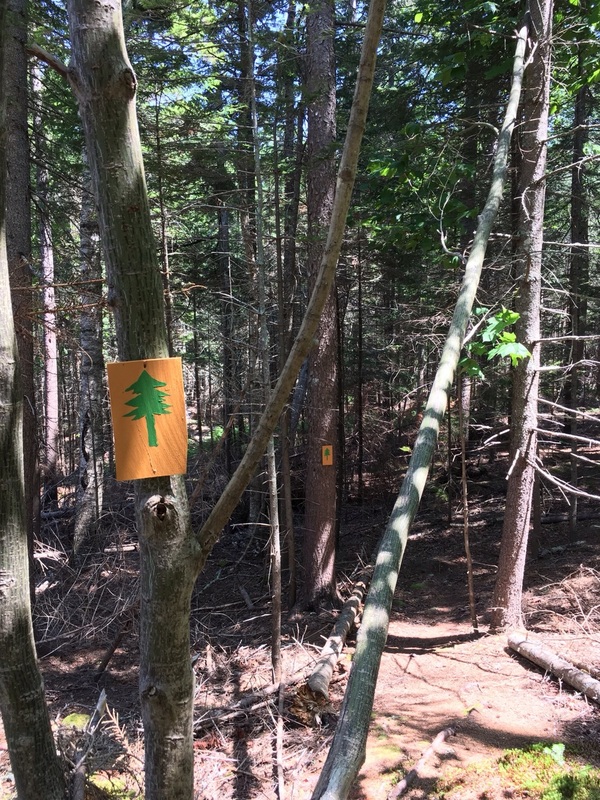 Markers on the woods trail behind the Nearings' homestead. If Mike and I had to choose the one book that most inspired us to leave the city and do what we're doing now it would probably be the book "Maine Farm: A Year of Country Life" by Stanley Joseph and Lynn Karlin, a chronicle of a year in this former couple's life in the late-eighties on the property the Nearings originally lived in when they moved to Maine, next door to The Good Life Center. 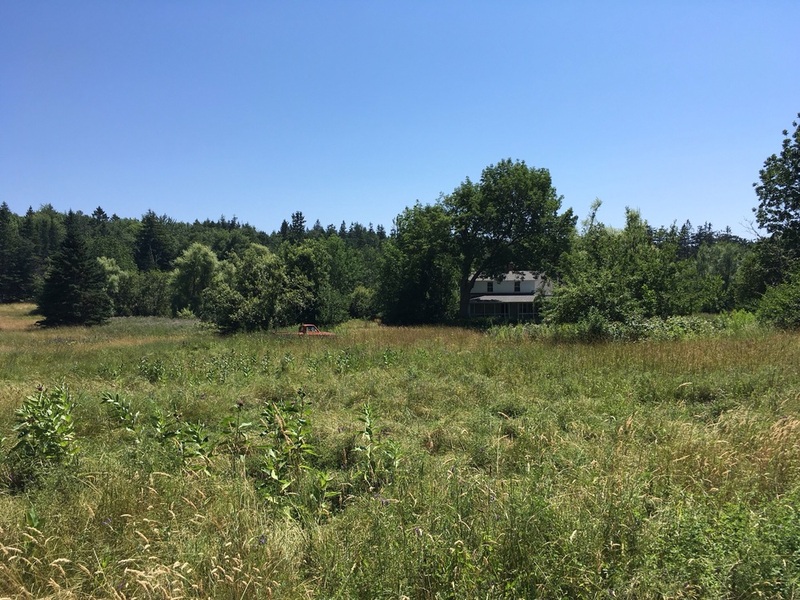 Now a rental property, we could only sneak a peek from the woods. It was strange and a little sad to see a place we know so well from a specific moment in time (nearly 30 years ago) detailed in the book be transformed by time and nature into someplace altogether different. It was good to have seen it, however, and make the connection with the book. 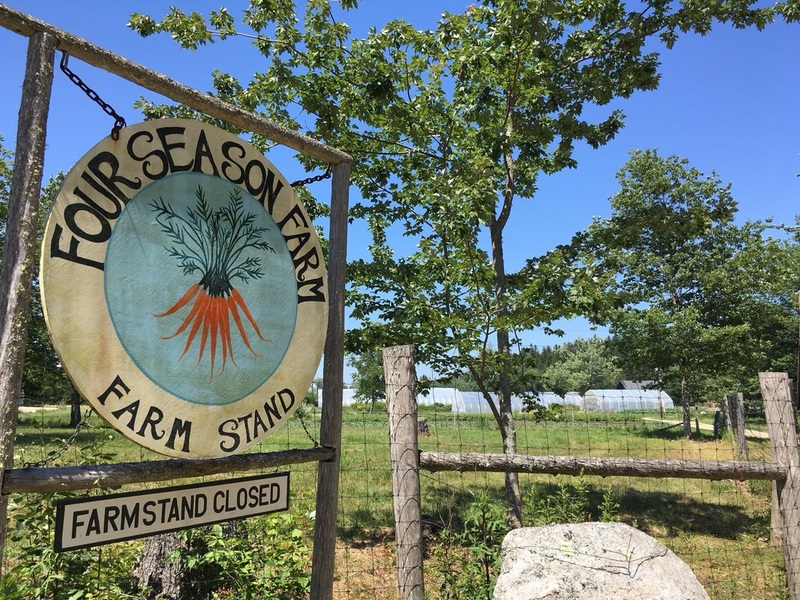 Eliot Coleman and Barbara Damrosch's Four Season Farm is just down the road from The Good Life Center. As we began to garden beginning in 2007, we read all of their books and still turn to them for frequent reference. It was lovely to see the farm in person. 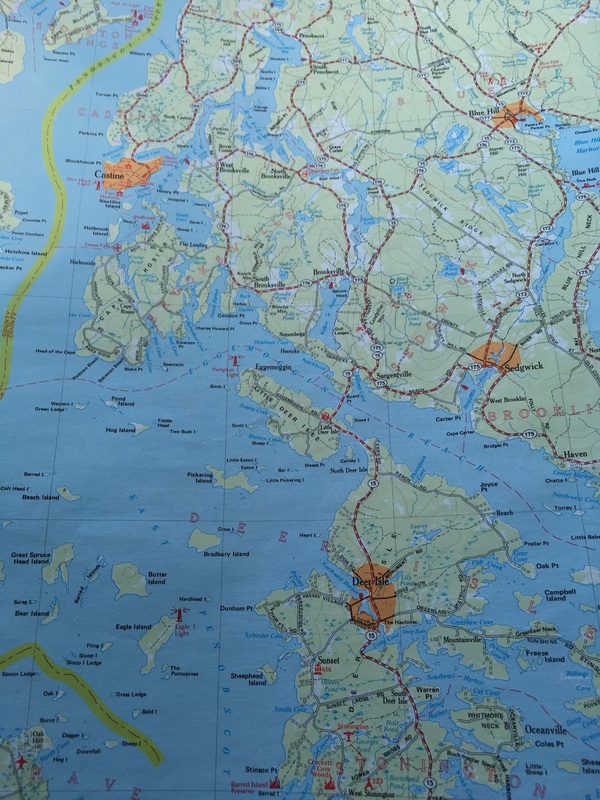 We went analog on our travels, relying on the Gazetteer to plot our course from Cape Rosier down to Deer Isle and Stonington. After a late lunch at El El Frijoles (get it?) 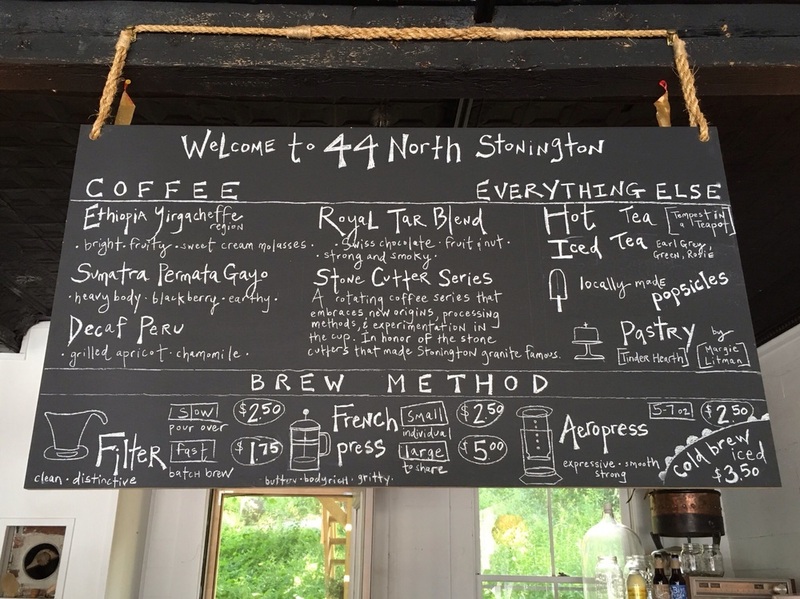 in Sargentville, we traveled down to Stonington for coffee and ice cream. Not at the same time. 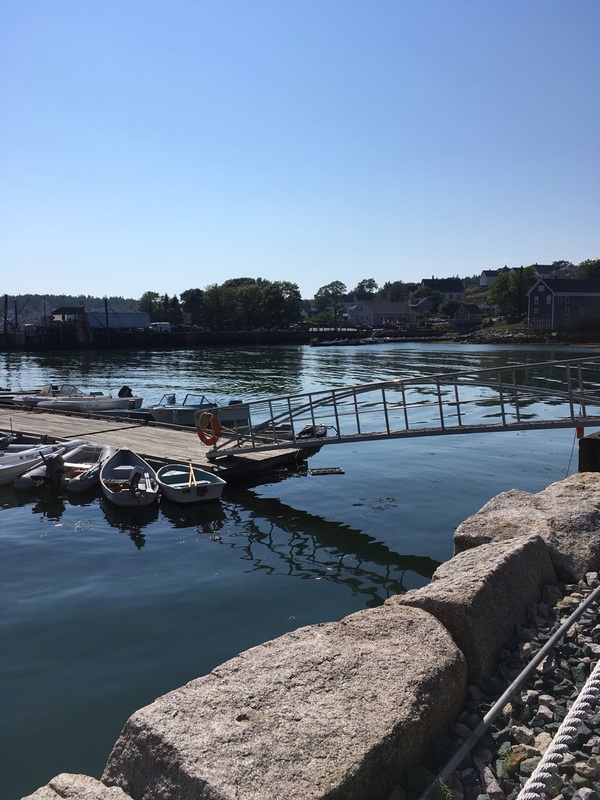 Downtown Stonington, the Opera House is just out of frame to the left. 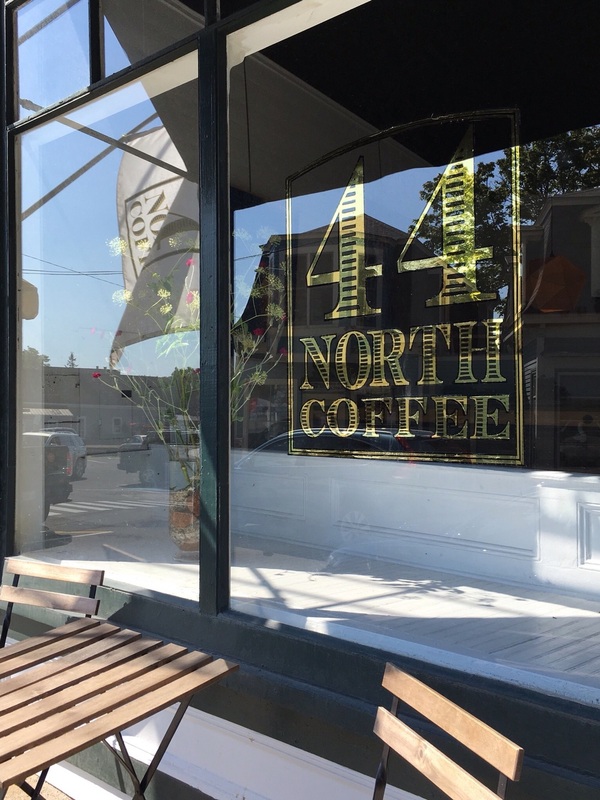 44 North Coffee is a roaster in Deer Isle with a cafe in Stonington as well. Loved the coffee and the space. I had Royal Tar done in the Aeropress and it was excellent. 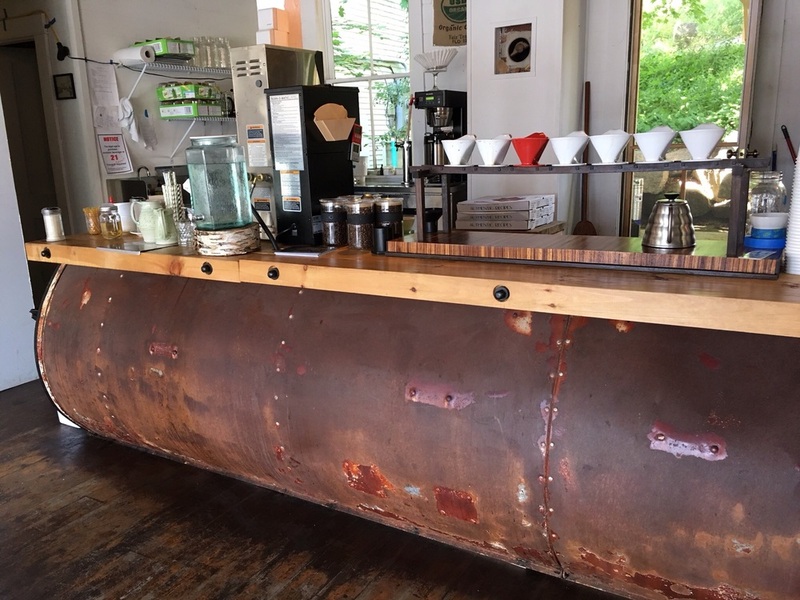 The bar base is made from the top of an old horse trailer. 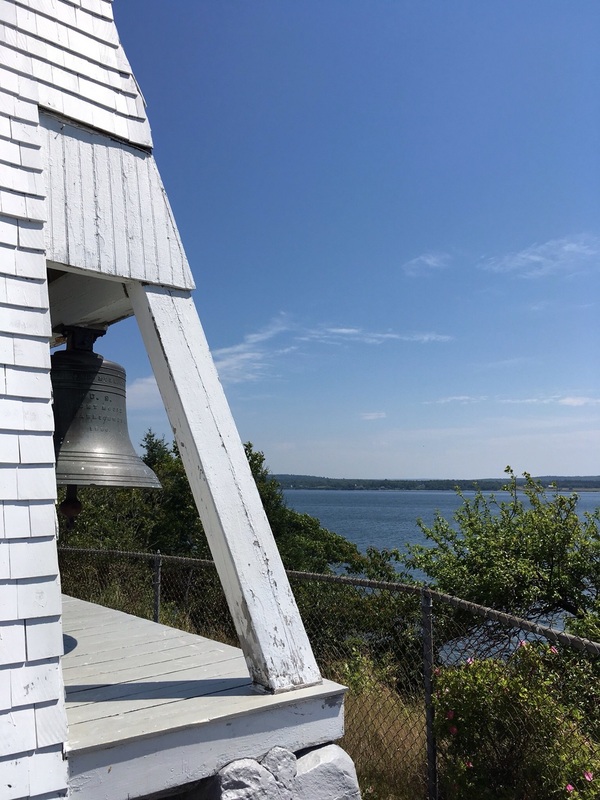 After our caffeine and sugar break we drove up the west side of Stonington and the east side of Deer Isle, stopping for mini excursions. 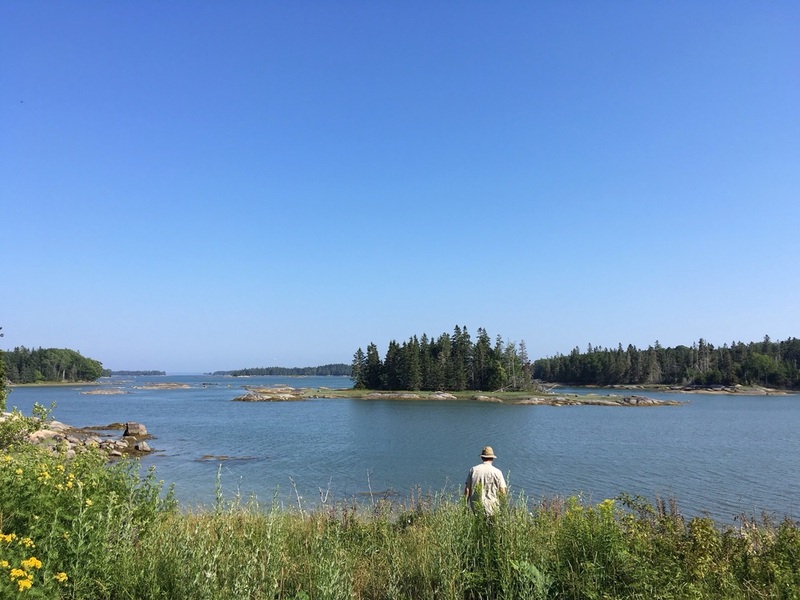 Next we drove out to Eggemoggin at the end of Little Deer Isle. Pumpkin Island Light in the background. 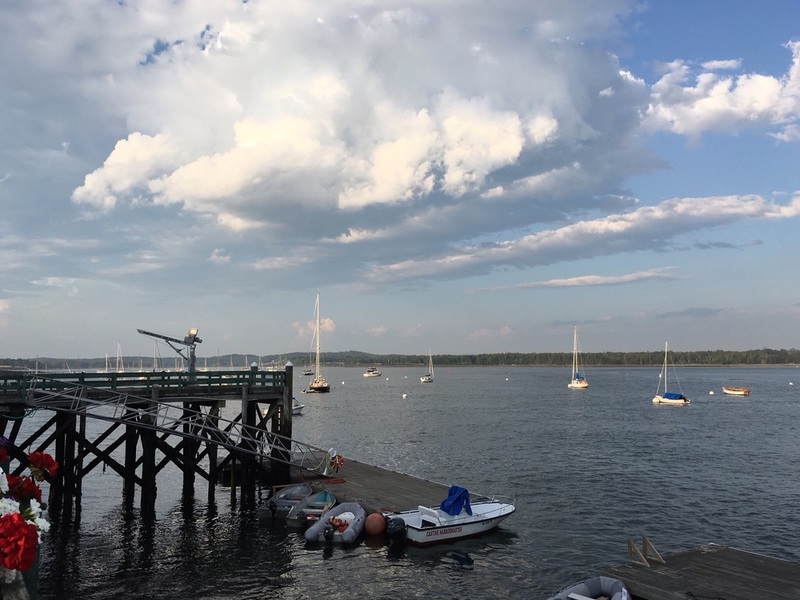 Last stop of the day was in Castine for dinner. Of course we ordered the "Pickled Snot Wrinkles" at Dennett's Wharf Restaurant. 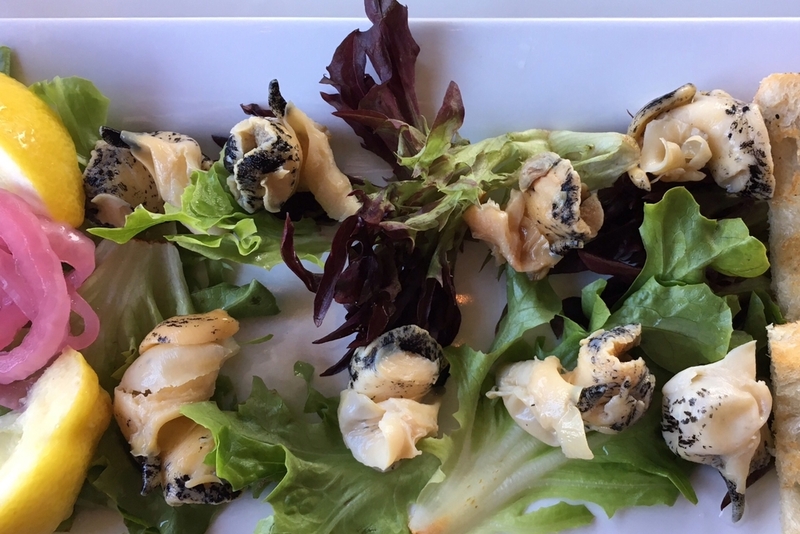 A creative (ahem) name for pickled whelks or sea snails. They were pretty good actually. 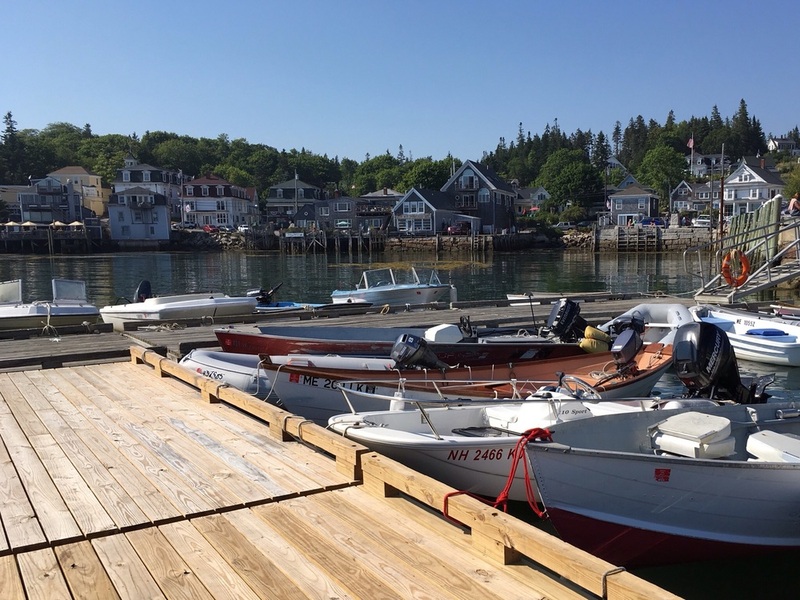 Last shot of the day from Castine Harbor. It was a perfect day of exploring with Mike. The past ten years have been so fast, so full, and we've worked hard to fulfill our dreams. Can't wait to see what the next ten years and beyond brings. I feel so privileged to share this life with such a wonderful partner. Thanks, love.